A record-breaking crowd of devotees from the Indian state of Arunachal Pradesh attended the annual Gomphu Kora festival in Trashiyangtse, this year. Pilgrims from Tawang, locally known as Moen-Tawang, dominated the crowd. The number, according to the organisers, is the highest this year. Devotees from across the border said sacredness of the place and similarities in the culture are some of the reasons why they are attending the festival. “I came from Tawang to get blessings from this sacred place since I have heard about the place. Many of us came this time and we are happy. One best thing about Bhutan is that there are so many chortens and it is beautiful,” said a pilgrim from Tawang, Norbu Dema. 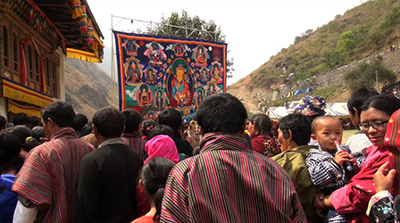 According to Trashigang Lam Neten, Karma Rangdrol Gomphu Kora festival is one of the few and popular festivals that attracts devotees from across the border. He said it also a place where people do business. “We came here to visit the holy sites and now we feel really blessed. We are not here to do business but we are pilgrims,” said another pilgrim from Tawang, Tashi. 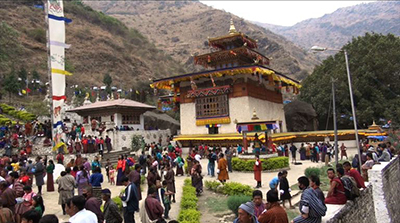 Gomphu Kora festival is conducted annually on the 10th day of the second Bhutanese month. The three-day festival concluded yesterday with the unfurling of Guru Tshengay Thongdrel. 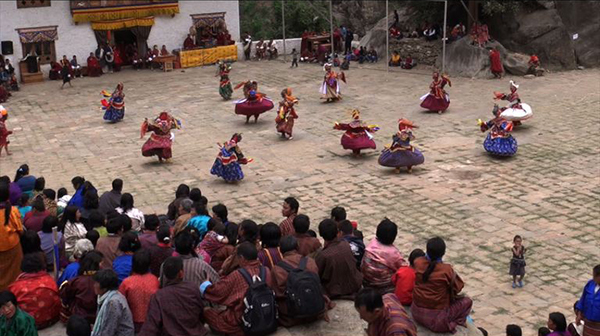 Various masked dances like Dramedtse Nga Cham, Yak Cham from Merak Sakten and Guru Tshengay Cham were performed during the last day of the festival. Gomphu Kora is regarded as one of the sacred sites of Guru Rinpoche in the east.